So from now on you’ll hear more consistent playback volume from videos on YouTube, regardless of how “loud” they were when they were uploaded. To read more about what this means, and why it’s important, click here. The news has had a fantastic, positive response from almost everyone. But there’s a problem, as I mentioned in my original post. And I’ll get to that in a minute. Some of what I say here will probably be wrong, or go out of date really fast. But for now, here’s what (I think) we know. 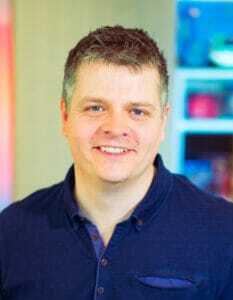 Eric Perlas from Tower Of Doom studios has seen older songs that have also been normalised – some time after he uploaded them. Several people have suggested that this is only happening to major artists releases, most of which are on VEVO rather than the main YouTube site. However Eric’s examples again show that this isn’t the case. “Loud” songs are being turned down, but quieter songs are not being turned up. This is a mixed blessing – on the one hand it means you won’t ever get extra clipping or distortion, but on the other hand it means some great-sounding music with more dynamics won’t sound as loud. Don’t get me wrong, overall loudness management is a very positive step in the right direction. There’s no question that the normalisation as it is today is vastly better than nothing, and I’m delighted that YouTube have taken this step. But because the normalisation system avoids clipping or extra limiting, it also means that some very dynamic material will end up playing back quieter than everything else. Which is a great shame, because one of the benefits of loudness-normalised playback is that it gives great-sounding music like this the chance to really shine. If YouTube chose to follow Apple’s lead with Sound Check instead, and chose a value like the AES recommendation of no higher than -16 LUFS instead, this issue would be far less of a problem. Let’s hope they update the value in future. I’ve made some suggestions in this post, but it will be interesting to see exactly what method YouTube are using for their normalisation, and why. They’re not using R128 or ReplayGain, as far as we can tell. Actually I think the answer to this is pretty obvious – the #1 cause of complaints from audio listeners is always loudness-related, it makes perfect sense that YouTube needs a loudness management solution to give their subscribers the best possible user-experience. Does it apply only to music, or all videos ? I have no idea, yet. Maybe you’d like to do some testing, and let me know ! Several people have raised concerns that ads won’t have their volume controlled in the same way, meaning they could be very intrusive if they were louder than the music. All I can say at this point is that during my testing, none of the ads played back louder than the loudest music moments – but some were actually somewhat quieter. So where does all this leave us ? 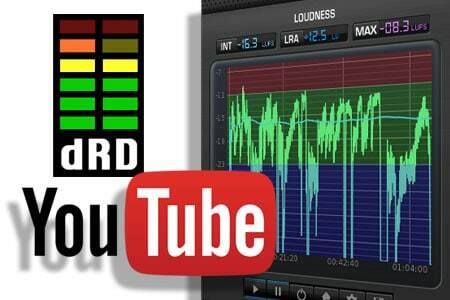 Loudness normalisation on YouTube is a Good Thing. Even if the target loudness YouTube have chosen is a little louder than I’d like right now, they have made loudness for it’s own sake a waste of time if you’re trying to stand out on YouTube. And because YouTube is such an important part of the music discovery and sharing process in 2015, people are going to pay attention. As more people (like Daft Punk, Pharrell, Mark Ronson et al) experiment with more dynamic masters, those masters are going to sound better (punchier, livelier) than more squashed stuff. On YouTube, on Pandora, on Spotify, and any device that uses ReplayGain – pretty much everywhere. And just like our clients used to ask us “why does that sound better ?” when they heard a master that sounded louder, they’ll start to ask “why does that sound better” when they hear something more dynamic. That’s when we get to tell them why, and that’s when the word will start to really spread. Ian, great article! I think if all distribution sites took a unified approach, it would still give all the producers a “choice” in how they master there music. Dynamic or not so dynamic. I think the consumer subconsciously ( an not so) prefers dynamic music, and so they will vote with there pocketbooks and who they like and listen to. It reminds me of another “movement” that happened in 1982 or so. The melding of all the instrument makers and there cooperation in the MIDI standard. Best thing since sliced bread! May be the industry of music production will follow suite one day! Hey the film industry has….I’ve been offering “more dynamic masters” to all my clients, they’re better off and seem accepting of it. Keep up the good work! The confusion and consternation that the possibility of a -13 LUFS standard has caused here has made my mind up – I’m going to home-master to -16 LUFS strictly from now on, for my stuff and other people’s. I’ve found that material with a PLR of 14 to even 16 dB plays just fine on portable players. When the environment is noisy, wide loudness range doesn’t help much, but if mixing and mastering engineers retain material in the loudness range which worked well in the age of the pop LP, we’d be just fine, even jogging and on the road. In general in pop music, expressing concern that cars and noisy gyms are the enemy and so we have to use much more compression is a red herring. If top 40 from the 60’s, 70’s and 80s sounds good on the iPhone (and it does), then stop worrying and let’s return to a sensible dynamic. Good post. Even if -13 LUFS were enough for most music, it definitely isn’t for dialogue. YouTube should stop guessing the right solution for everybody, and provide a settings panel for the visitor to set all playback and search parameters. Replay volume could even be tied to the directly accessible and simple volume slider to make it act like the ‘pre-amp’ in ReplayGain-aware players; make it go as high as -13, at a risk of imbalance between clips, but make it work right at a medium setting. Limiting is probably not an option if the processing is done by Flash or web browser. I’m familiar with replay gain but not with the math behind its “preamp”. JTN would have to explain the math behind his fader proposal for you tube before I could get behind that idea. There are ways of splitting normalization schemes so that the target is variable. But only in the case where the spl is somewhat known would I get behind a “-13 target at the top of the fader and lower at lower fader levels” idea. In other words, a variable target. However, the problem is an unknown user gain structure. in a home computer, for example, it is possible to set the you tube volume control to the max and the system volume control downward until it doesn’t sound too loud to the user. So that would easily defeat the idea of a sensible target. The safest way to guarantee normalization is to broadcast a normalized stream or to play already normalized material. That’s what’s happening in European TV and soon radio. The next safest way is to send normalization metadata in the stream or the AAC file itself. I’m not sure what you tubes approach is. The ‘preamp’ as it’s called in PC audio players Foobar2000 and Winamp is just an “offset” to the target normalization level. Users can adjust it to increase or decrease available headroom should they choose so, depending how varied the programme levels are or if they wish to follow the original RG proposed level (6 dB quieter). If YouTube would make the volume slider act like this, and default it to around -18 with an option to raise it, whoever thinks that -13 LUFS is the right choice, should be equally pleased. Encoding normalized AAC streams would definitely work better for people who use VLC for playback (YT probably doesn’t care). I don’t know if there are “devices”/laptops where the software cannot bring the loudness back up to what users get without normalization (YT probably would care about them). Somewhat related, at least until January this year, YouTube ran its encoding at 16 bits. Quantization noise would probably become an issue if everything was normalized down to safe Dolby-like levels with enough range for every possible upload. Mr Shepherd, would you please look at the mp3 blog post and why my comment is in the spam filter. If the control really increases or decreases headroom, doesn’t that either limit or clip peaks? If so, what settings would the limiter or clipper have? Sounds a bit dodgy to me! As my post says, they aren’t boosting audio beyond the point that would cause clipping. Hence, no compression or limiting is needed, or being used. -13LUFS is a bit too LOUD, but it’s good something is happening in the right direction!! I still shudder to think of some of the loudness war mastering levels, it’s pathetic so called audio professionals could sink so low as to destroy music! I have no idea why Youtube could not just go along with all the previous research that concluded -16LUFS is loud enough for mobile devices? I think if it stays at -13, and becomes well known about, then people will start mastering at -13 rather then -16 as they know otherwise they could be quieter on Youtube. i Uploaded a -4dbfs Pink noise and a 1K test tone ,they came back exactly on my Meters as i set them up. Does that mean it takes time to get normalized or what exactly ? Most critical is we all experiment to know how exactly it reacts to different material.